Meet Mini Verity. Isn’t she cute. Don’t you want to own her too? 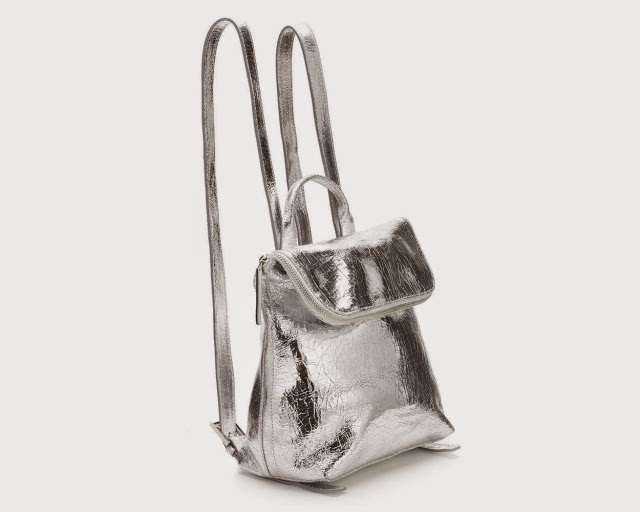 She’s the baby sister to Whistles best selling backpack, Verity and she’s a stunner. Made of beautifully-cracked silver leather it’s like looking into my dreams. I can imagine it brightening up any winter outfits. I want it. Sorry her. Dammit. Get yours here for £185. Bargainous.